Opening hours: 24/7. Hosted by Bristol Temple Meads Station. 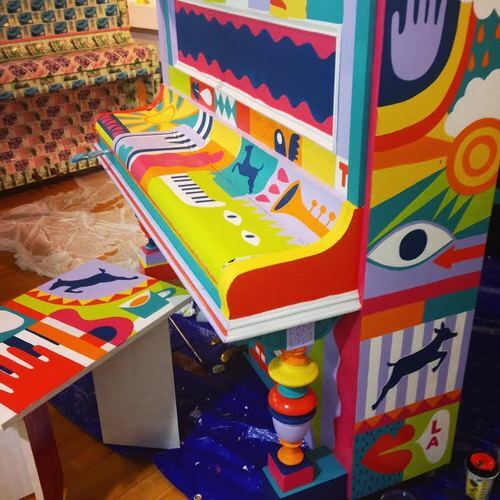 Decorated by Zoë Power. At the end of the official presentation this piano was donated to Network Rail who now own and manage it, with financial support from Severnside Community Rail Partnership. 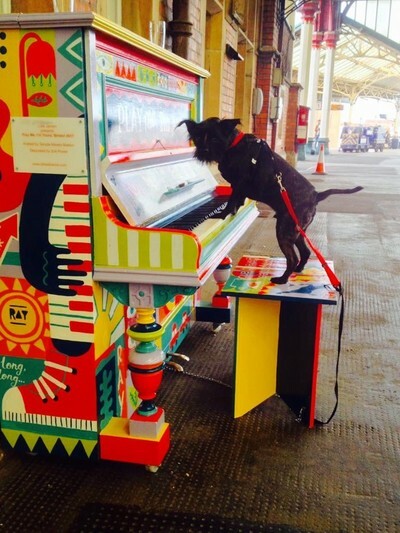 First to play the piano at Temple Meads! 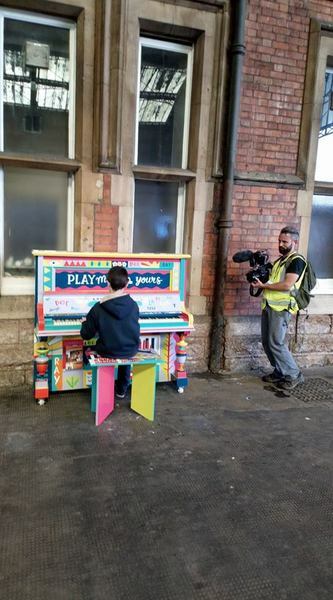 A bit of musical magic on platform 3. It's on platform 3 ready for you to play! 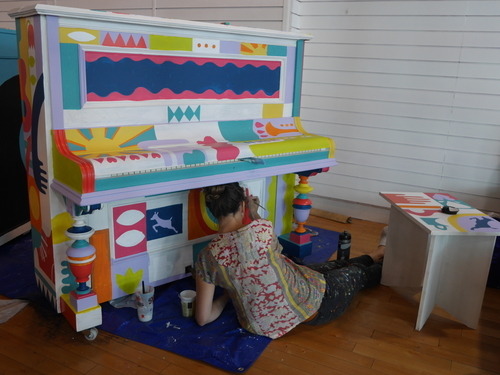 Zoe working on her fabulous piano design for the Bristol Temple Meads Piano.